“Allah” is the Supreme one Ruler in Arabic. “Din” is “Justice”. Strange these words are the same both inArabic and Hebrew also. 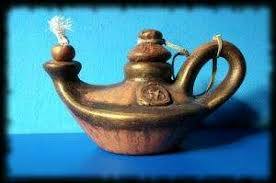 Many of you have probably heard of Alladin’s gift of this specially shaped oild lamp, and he will get only 3 wishes fulfilled from the Jinn in the lamp. 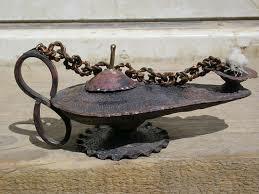 Here are some traditional photos; notice the vast resemblence to their own hookah sold at this link. Note the lamp shape in the middle of the hookah!